This year has involved a lot of addition practice with my 1st grader. We’ve enjoyed the various themes for addition pages that we’ve had this year and since Spring has arrived, it was the perfect time to add a new ladybug-themed free printable adding to 10 activity to our stash! Jaida loves ladybugs, so this one is perfect for her. The student will select an addition fact card and place it on the rectangle with the addition fact representation at the top of the leaf page. 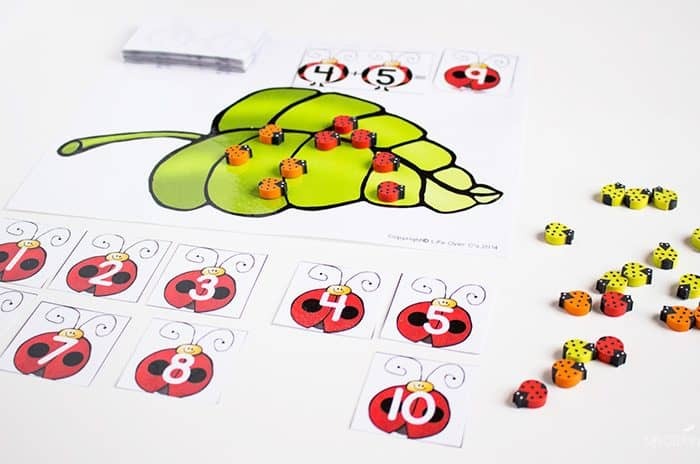 Then, they will collect the amount of ladybugs shown on the card to represent the addition problem and place them on the leaf. Count up the total amount of ladybugs and find the matching numbered ladybug. Place it on the square with the ladybug to complete the addition problem. Say the addition problem out loud to help commit it to memory. I absolutely love these tiny ladybugs that I picked up at Michael’s! They had sticky dots on the back of them, but I easily removed them and just used the wooden lady bugs. Need subtraction instead? 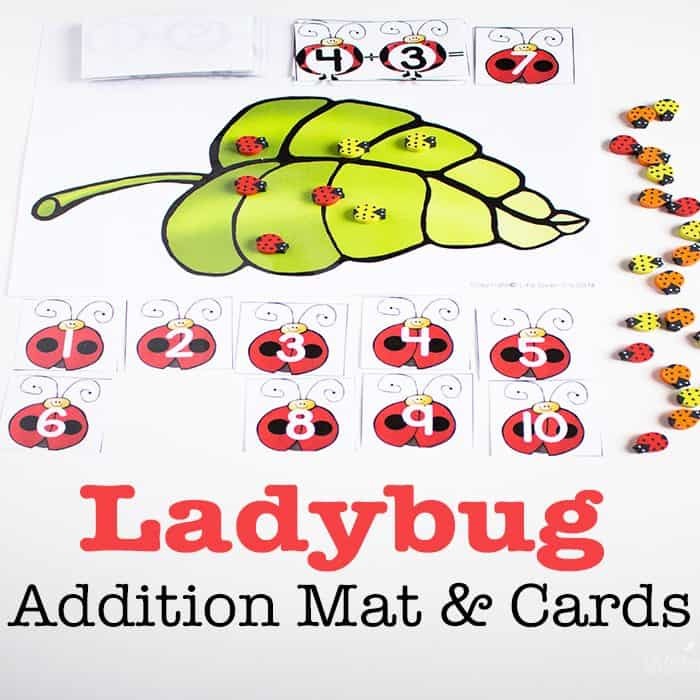 Find the Ladybug Subtraction Mat & Cards here. I have these in several themes now, so you can easily change up your activity to fit the season!